When it comes to checking a vehicle’s swept path, getting it right the first time is critical. That’s where AutoTURN® for Autodesk® Revit® comes in. At the core of the software is the AutoTURN engine, based on decades of engineering research and field experience. 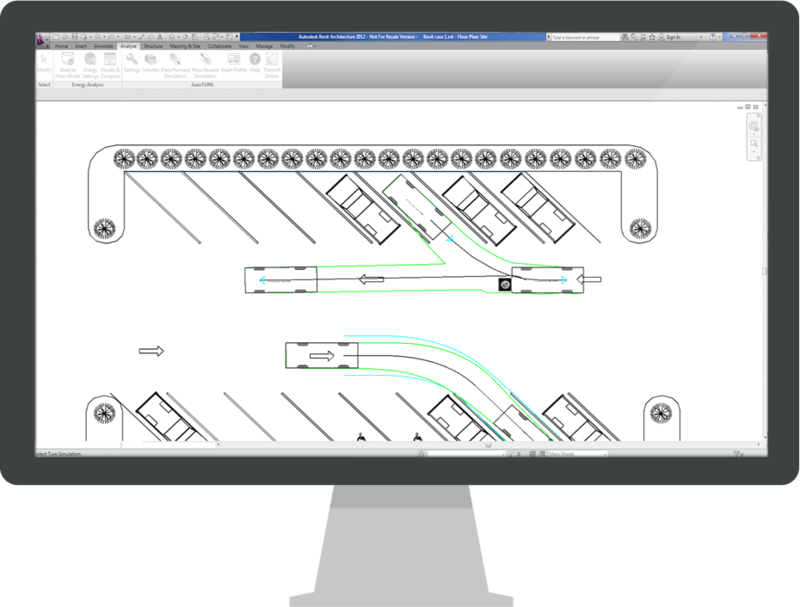 Saves you time – Model different vehicle turning simulations in your design in just minutes. Done right the first time – Sweep angle hunting and dynamic turn radius displays reduce tedious guesswork. Adopted worldwide – The AutoTURN engine is used by government transportation agencies and top AEC firms in over 120 countries. With the latest software for modeling vehicle swept paths, architects can now save time and money by checking their designs themselves without the need for going outside the office.